This is a little bit of a follow up to the Apprising Ministries article Missing Memo On The Death Of The Emerging Church? It’s important to realize that the Emergent Church was first and foremost a full-on attack against the original cult of liberalism aka modern theology; and its “big tent” version of Progressive Christianity, a Liberalism 2.0 sometimes referred to as Emergence Christianity, has won out. 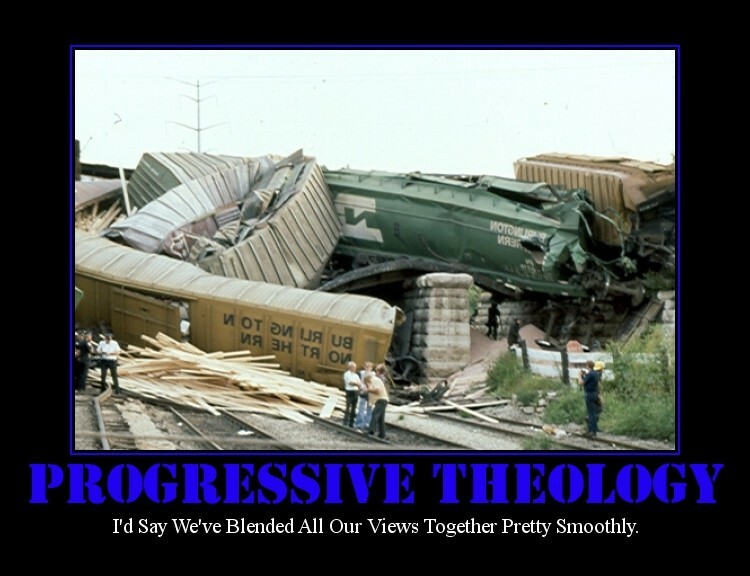 This brings us to an article today at Religion Dispatches by Daniel Schultz called Trend Watch: “Progressive Christian”. That’s important because of course we’re not talking about God-flavored political progressivism, but about Progressive Christianity. If that perspective is to make it very far as a theological perspective, it’s going to have to develop beyond being nice and liberal. “Honest grappling with the questions” is a good start, as is “radical hospitality,” but there’s more to it than that. There always is. The symmetry between Rev. Schultz’s piece and those whom he’s attacking is perfect. Schultz rejects dialogue with evangelicals because they’re too far to the right. This drives him further to the left, and now he doesn’t want to be found in any tent they are in. When we examine the roster of teachers for BTC we get another indication that the Emerging Church is far from dying as it’s a veritible who’s who around the EC. We find both Dr. Clayton and McLaren on “Today’s “Big Tent”: Being and Becoming the Church”; Red Letter Christian and historian Diana Butler Bass and Phyllis Tickle, the Empress of Emergence, to teach us “Transcending Left/Right Thinking”; heretical progressive/liberal theologians Tony Jones and Harvey Cox on “Frontier Thinking of Big Tent”, and gay-affirming EC “pastor” Jay Bakker sharing about “Ministry with Those in the Margins”. Then, in addtion, there’s also the heretical Greg Boyd, a leading proponent of Open Theism, oddly enough teaching “Tell the Good News for the Future” and we’re told that, “Participants also include” head of the EC OOZE Spencer Burke, a Christian universalist; Wesley Granberg-Michaelson, who’s general secretary of the Reformed Church in America and a proponent of corrupt Contemplative Spirituality/Mysticism, along with the heretical EC pastor and universalist Doug Pagitt. We’re also informed that Dr. Clayton’s group has even received “a generous grant from the Ford Foundation” for its work. And then there’s the inaugural East Coast Gathering April 30th of the TransFORM Network, with all the EC luminaries. So it’s pretty clear that the church had best be prepared to deal with an Emerging Church 2.0 spreading, as a spiritual cancer, its postmodern version of progressive/liberalism in a big tent Emergence Christianity incorporating e.g. elements of neo-Gnosticism, neo-paganism, Integral Theory and Emergence Theory. It isn’t going to go away; and furthermore, it’s very likely to have already been injected into the Young Adult and Youth ministries of your mainstream evangelical church. I would say you’re correct in that; and I’m not looking to disagree, however to believe wrong concerning Who Jesus is renders how you live out those wrong beliefs of no account re. soteriology. For you see, without that bad news, the Gospel of repentance and forgiveness of sins in Jesus’ Name makes no sense.